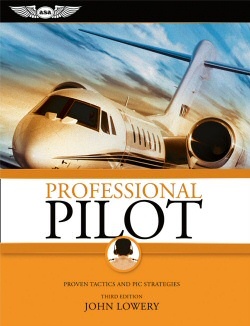 New edition of the popular title Professional Pilot provides real-world application of knowledge based on veteran aviator John Lowery’s vast experience. Ride alongside as he imparts insightful tips, stories, case histories, facts and myth-busting that will change how you operate as PIC. Professional Pilot is filled with points to remember so pilots can take away operational rules-of-thumb and immediately apply them to their daily flying. This insider's look into the mind and cockpit of an accomplished aviator is an invaluable resource for pilots wanting to achieve the next level of aeronautical mastery.